I have developed a (healthy) obsession with The Honest Company. I love their products!!! We used their diapers for our oldest and are now using their diapers for our little one as well. Honest diapers, aside from being absolutely adorable, are great for sensitive little bums, which both of our girls have. So I am always on the lookout for new products from them, and man, is this company growing and expanding! Over the past few months I have learned more and more about the benefits of adopting a whole foods, plant-based diet (a post focused just on that topic is coming soon!). 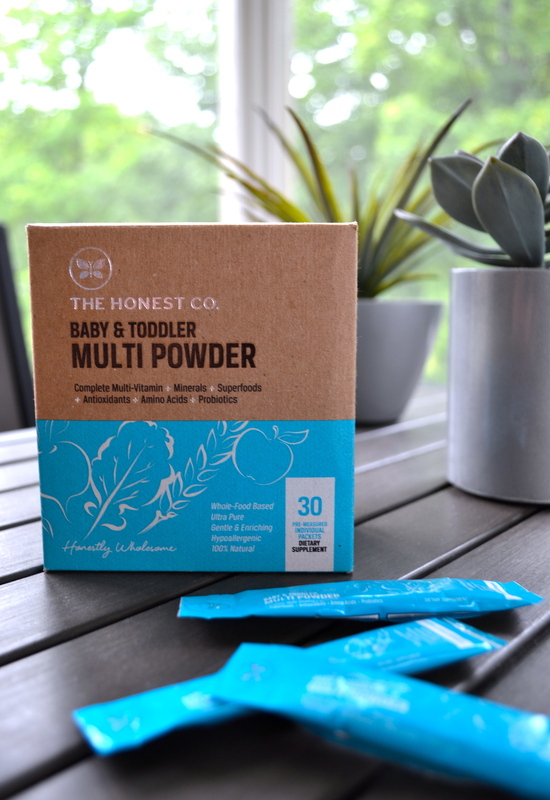 So I was very interested in learning more when I got an email from Honest announcing that they were releasing plant-based baby and toddler multi-vitamins. I had never really thought about what was in the vitamins I gave my children. I thought they were all healthy - I mean, the are vitamins, they have to be good for you, right?!? The Honest email prompted me to sit down and compare labels. The first ingredient listed on my daughter's Flinstones bottle was SUCROSE. What?!? Sugar?!? That is literally the most predominant ingredient? I mean, it makes complete sense - they are sugary and fruity and all kids gobble them up, but I had never really thought about it. I kept reading. Then came sorbitol (another sweetener), natural and artificial flavors (whatever that means) and at least two dyes. Okay, so where were all the healthy things my kid should be ingesting every day? Then I looked at the Honest vitamin label. The first thing I noticed is that they were 100% free of all the top 8 common allergens (obviously very important to us). To top it off, they are organic and do not contain ANY GMOs! Yes please! Ah-ha! No dyes, sweeteners, or artificial flavors either! I could also read every word in the ingredient list! Can you tell by the number of exclamation points I am using that I am beyond excited about this product? I placed my order immediately and I can *honestly* say that I feel like a supermom every morning when I give them to my daughter. Posted on June 27, 2013 by Kristen Rutter and filed under Product Reviews.